WHY WOULD YOU WANT TO FLY FOR THE U.S. AIR FORCE? 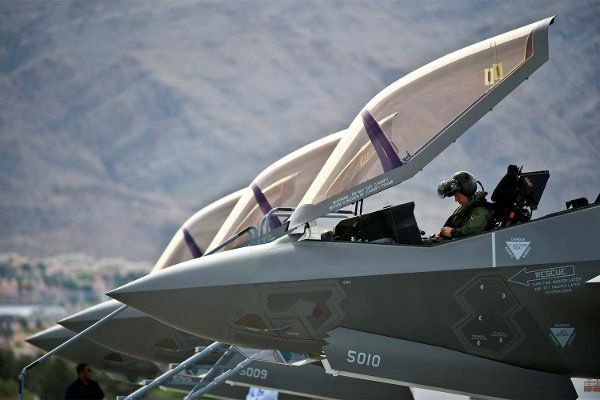 A fighter pilot conducts pre-flight checks inside an F-35A Lightning II before a training mission April 4, 2013, at Nellis Air Force Base, Nev. (U.S. Air Force/Senior Airman Brett Clashman. Story and photo courtesy of Aerodrome Aviation News Scout, Virg Hemphill. The Air Force on Monday unveiled a tiered bonus system to combat a chronic pilot shortage, with bonuses of up to $455,000 over 13 years for fighter pilots. And while the benefit clearly takes aim at fighter pilots, it’s also designed to target aviators across a number of platforms, including drones, and for periods of as short as one year. “Pilot retention right now is in a crisis when it comes to fighters, and we’re changing around the way we do incentive pay,” Air Force Secretary Heather Wilson said in announcing the initiative during a breakfast in Washington, D.C. The bonus “will encourage pilots to stay where they are needed most,” she said. The new Aviation Bonus Program is an expansion of Aviator Retention Pay and puts into place the cap authorized for the incentive under the 2017 National Defense Authorization Act, or NDAA. It also details for the first time the “tiered” benefit, with specific amounts based on specialty area. $35K a Year for Fighter, Drone Pilots. Fighter and drone pilots are slated to receive the highest maximum bonus of $35,000 a year, while special operations combat systems officers the least at $10,000. Bonus eligibility based on one-year, two-year, five-year, nine-year, or up to 24 years of aviation service (13-year maximum) commitments. Bonus eligibility based on one-year, two-year, five-year, or nine-year commitments. Bonus eligibility based on one-year, two-year, or five-year commitments. Bonus eligibility based on a five-year commitment. This entry was posted in AVIATION NEWS on June 7, 2017 by FASFRIC.